Acclaimed as a performer par excellence, brilliant composer and revered Guru, Pandit Tulsidas Borkar is one of the most outstanding musicians of India. A leading name in the field of Harmonium playing. 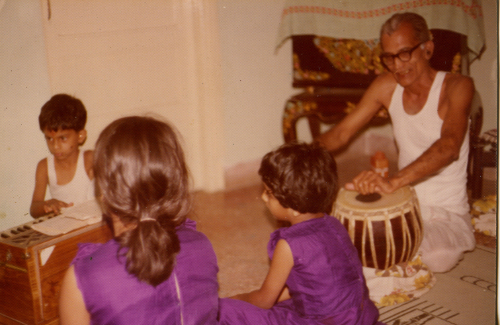 Tulsidasji had his initial lessons in Music from his mother Jaishreebai Borkar. Later he started learning the Harmonium from Vishnupant Vashta and at the same time had the opportunity of being guided by Chhota Gandharva, the eminent vocalist, on the art of Harmonium accompaniment. However a major part of his training in Harmonium was between 1957 and 1967 under the guidance of the Harmonium maestro Pandit Madhukar Pendnekar, better known as P. Madhukar. In his endeavor to acquire knowledge he had the opportunity of receiving valuable guidance from some veteran vocalists like Pandit S.C.R.Bhatt, Pandit K.G.Ginde, Pandit Rajaram Shukla, Pandit Murli Manohar Shukla, Pandit Ram Marathe, and instrumentalists like Pandit Devendra Murdeshwar (Flute) and Pandit A.P.Pathak(Violin) from whom he got to learn the intricacies of the Khayal tradition of North Indian (Hindustani) Classical Music. Tulsidas Borkar gained initial fame as an Organ player in Marathi theatrical music. He accompanied several leading actor-singers of Marathi theatre between the years 1950 and 1980. He also had the privilege of accompanying many stalwarts in the field of Hindustani Classical Music like Pandit Mallikarjun Mansur, Pandit Firoj Dastur, Pandit Bhimsen Joshi, Vidushi Padmavati Shaligram-Gokhale, Pandit Basavraj Rajguru, Pandit Y.B.Joshi, Pandit Jitendra Abhisheki, Pandit Ram Marathe, Vidushi Gangubai Hangal, Vidushi Kishori Amonkar, Vidushi Shobha Gurtu and Dr. Prabha Aatre to name a few. 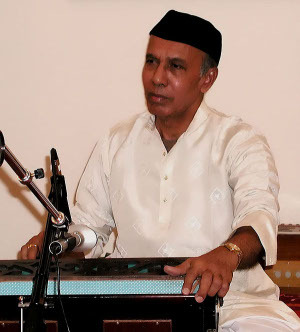 Apart from being a reputed Harmonium accompanist, Tulsidas Borkar has also been acclaimed as a great soloist and has been commercially recorded by many record labels all over the world. Tulsidasji has participated in most of the prestigious music festivals in the country and toured extensively for concerts in U.K., Europe, Indonesia, U.S.A, and Arabian Gulf countries. As a music composer, he has composed music for theatrical productions like Sangeet Pandharpur, Bakul Phula and various other musical productions. The many disciples whom he has groomed as renowned performers and composers of today, proves his invaluable contribution as a Guru. Among his disciples are Sudhir Nayak, Seema Mestri-Shirodkar, Kedar Naphade, Shriram Hasabnis, Niranajan Lele, Siddhesh Bicholkar—all of whom are now established well-respected harmonium soloists and accompanists of Indian Classical Music. His youngest disciple Unmesh Khaire is gaining acclaim as a brilliantly prodigious soloist. Borkarji's noble mission of imparting his knowledge has led him to authoring a book on the art of playing the Harmonium titled Samvadini Sadhana which has been published in Hindi and Marathi. He has also been instrumental in designing a syllabus for Harmonium students which has been accepted and recognized by the Pune University (Lalit Kala Kendra) and University of Kolhapur (Shivaji Vidyapeeth). He has also designed a new model modifying the physical structure of the Harmonium by raising the level of the Keyboard which was crafted and manufactured by Dashrath Bengude. He has extensively researched in learns of improving the tonal quality, tuning and other technical aspects of the Harmonium thereby giving different visual and sound dimensions to the instrument. Read Pandit Tulsidas Borkar's interview. For his dedicated contribution in the field of Indian Music, he has been honoured with the prestigious Sangeet Natak Academi Award, The Sangeet Natak Academi fellowship and Padmashri, at the hands of Presidents Dr. A.P.J.Abdul Kalam and Pranab Mukherjee. First Bhaiya Ganpatrao Samman (Award) from Harmonium wizard Bhaiya Ganpatrao Memorical society, Delhi on Aug 11 2008. State Reward for Excellence from the Directorate of Art and Culture, Govt. of Goa (18 August 2007). 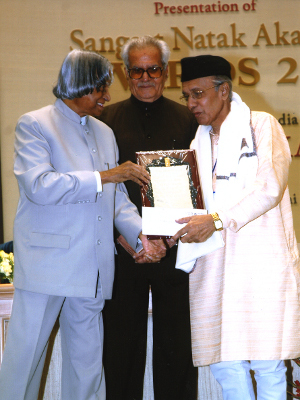 Pandit Vitthalrao Korgaonkar Smruti Puraskar by Surel Samvadini Samvardhan - Belgaum in 2002. Master Dinanath Mangeshkar Smruti Gungaurav Puraskar (2000) form Yojana Pratishthan and Nirgudkar Foundation. Samrat Sanman from Samrat Club international Goa. Balgandharva Gaurav Puraskar from Akhil Bhartiya Natya Parishad sponsored by Shrimant Madhavrao Maharaj Shinde. Govindrao Tembe Sangatkar Puraskar (19 January 1998) from Akhil Bhartiya Gandharva Mahavidyalaya. 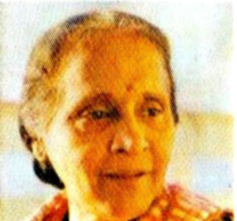 Sangeetkar Padmshree Vasant Desai Puraskar from Marathi Natya Parishad. Born in 1918 in Kolhapur, Padmavati Shaligram is one of the senior most vocalists of Hindustani music. She was groomed in the Jaipur â€“ Atrauli tradition by her father and uncle who were students of the legendary Alladiya Khan, the founder of the gharana. She has been performing in public since she was thirteen and climbed to the height of success and glory very early in life. She has been a top ranked performer with the All India Radio, besides featuring in numerous concerts in both the northern and southern states of the country. In her era, she has been instrumental in paving the way for classical music to be sung by women from higher social classes and also in contributing greatly to the acceptance and respect of thumri among connoisseurs of classical music. You can watch a video clip of her performance at ITC Sangeet Research Academy's 13th Sangeet Sammelan. "Sangeet Natak Academy Award" - 1988; Awarded by Govt. of India, Highest award for arts in India. She has performed all over Hindustan (India and Pakistan) before partition. Ustad Alar Khan used to accompany her. She acted in at least 4 Hindi, Marathi and Telugu moviles.